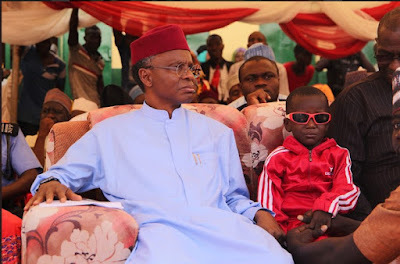 The governor of Kaduna state, Nasir El Rufai this afternoon broke down in tears as he met with the five years old Sàdiq Usman whose two eyes were plucked by suspected ritualists in Zaria last year. 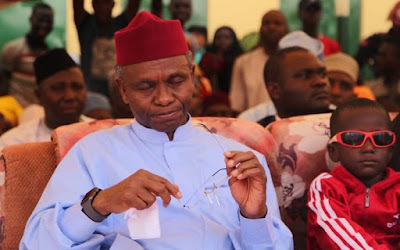 Little Sadiq who was at the commissioning of the Yahaya Hamza primary School in Zaria, which was refurbished by telecommunications giant, Airtel is being trained by staff of Airtel under Staff Volunteer Scheme. 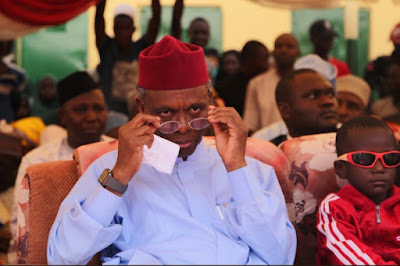 He has been enrolled at the Ango Abdullahi International School where Airtel provided special equipment for his training. 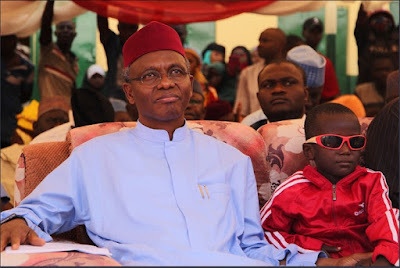 Governor El Rufai who was moved by the sight of the little Sadiq brought out a handkerchief to wipe his tears as he held the little boy on his laps.